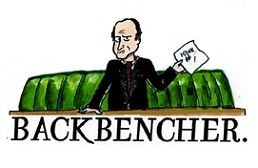 The Backbencher – Does David Cameron have any opinions at all? Does David Cameron have any opinions at all? Cameron’s CBI speech is one to rally the Tory troops to battle, and unfortunately for him, one which he would now rather forget. That war cry of a speech, which highlighted the UK’s exceptional ability to be an independent sovereign country, mocks Mr Cameron’s latest fuss about Brexit causing WW3 and essentially the end of the world. It begs the question, that if David Cameron, the most senior politician in the land, can radically jump from the “yes we can” side of the debate to “Brexit could cause another world war” in a matter of months, then who is to say that he holds any genuine opinions at all. Maybe Mr Cameron’s entire political persona and opinions are based on polling research and public opinion, rather than him having any firmly held beliefs. So what does David Cameron truly think? He would now be expected to say that he thinks leaving the EU would be a disaster for the UK, but then why did he staunchly say in his CBI speech the exact opposite? Is it because he has no opinions himself (other than Tories GOOD, Labour BAD) without looking at opinion polls? If so, why is that attractive? It’s surely a negative thing to be fixated on an idea and not look at new evidence, but simultaneously it’s certainly not an attractive quality to be fickle and mendacious.